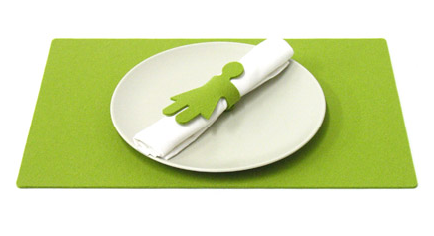 The Hug Placemats were one of my personal favorite at this year’s ICFF. Boy and girl shapes sneak out from under your plates to hug your napkins. clever use of material, and thanks for thinking of the earth!